In the days before the internet, most people turned to friends and family for recommendations on which companies to do business with. In the past few years, however, more and more people look to online reviews to assess a product or company. In fact, 92% of consumers now read online reviews with 84% trusting online reviews as much as personal recommendations (Forbes, 2017). Wow, right? So we get that it's important for a business to have online reviews, but what is the best way to go about getting them? This seems simple enough, doesn't it? Your patients are more likely to leave a review if it's requested. In order for a patient to feel less put upon, try using the word "feedback" instead of "review." Asking for feedback shows you care about their experience over a star rating. Requesting reviews should happen as soon as possible after a patient leaves treatment - or even during. If you have a patient's email address, email them within a day or two upon their exit from your treatment center. Another way to prompt patients is to create an area on your website where they can leave reviews. Advertise around your treatment center through posters or cards with details for the best ways in which to provide feedback. If you are using your own app, tool, or software to gather reviews, make sure the process is simple and straightforward. Any review process that becomes too cumbersome will have people jumping ship left and right. It's also important to make sure your review experience is optimized for mobile, as a majority of reviews are now created from a mobile device. 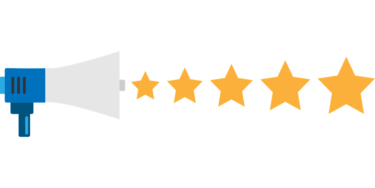 Soliciting and managing alumni reviews can eat up a lot of time, so for some companies using a third party tool to help create, collect, and post reviews to various review sites (Google, Yelp, etc.) can be beneficial and a time-saver. Patients will be more inclined to leave feedback if they know someone is actually reading it. Not only will responding to reviews potentially garner you more reviews but, according to a statistic in a study done by www.vendasta.com, "26% of consumers say it's important that a local business responds to its reviews." Return visits and/or recommendations are also more likely when someone responds to reviews - good or bad. The CaredFor app includes a simple, user-friendly system for collecting and posting patient and alumni reviews across a breadth of review sites. Schedule a demo to learn more about how CaredFor can help your treatment center improve outcomes and increase referrals.